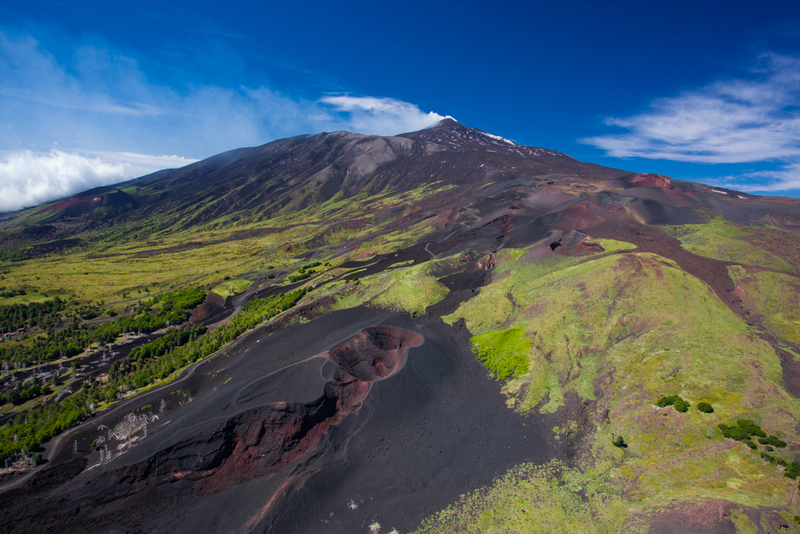 Home > For Families > Fly me to …Etna! 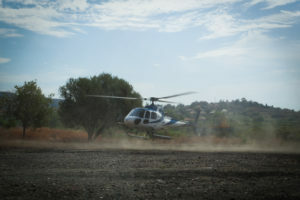 There’s one experience that among the others is an Experience Taormina must: the helicopter tour over Etna. In my life, I’ve watched Etna from many different perspectives. I see it every morning, waking up from my bed. It’s there, right in front of me, outside my balcony. 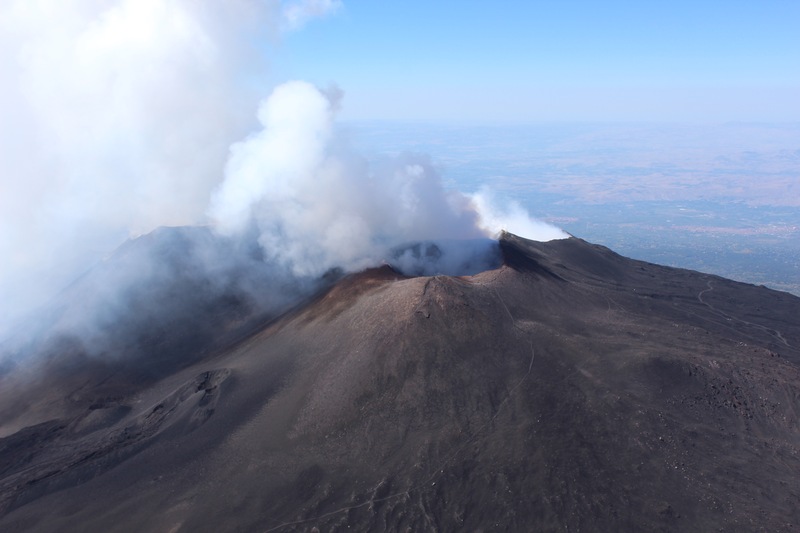 I’ve seen Etna from the plane, landing to Catania each time I was coming back from one of my journeys far from home. I’ve done a lot of hikes, in the morning and during the night-time, each and every time mamma Etna erupted, armed of a good pair of shoes, a good camera and a great company. But nothing can beat seeing the craters from an helicopter, especially when it’s the first time you go on an Helicopter! The meeting point with our Pilot, was at the Helipad located around the slopes of the volcano. I decided to seat in front to better soak in the view that was about to overwhelm my sight. The scenery that was below and all over was just amazing! The deep black of lava stones was interrupted by the force of nature that keeps making its way through old and more recent eruptions. Etna is the largest volcano in Europe and one of the most active volcano in the world. The majortiy of the activities and eruptions occur on the summit, where there are at the moment four craters. 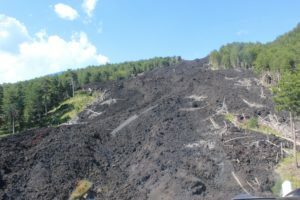 Voragine and Bocca Nuova were both formed by an eruption in the main Central Crater respectively in 1945 and 1968. 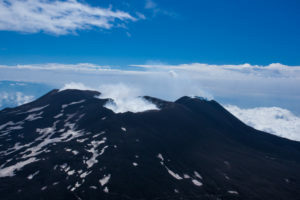 The third is the North-east Crater (1911) which is at the moment the highest crater on Etna with its 3330 meters. The fourth and most recent is the South-east crater, born in 1971, which is also the most active of the four. The huge craters I could see from the helicopter were so close and the smoke coming out so striking to leave me completely breathless. Besides Etna and its craters, the view of the the villages around Etna and the Ionian coast from that priviledged point of view was absolutely priceless. 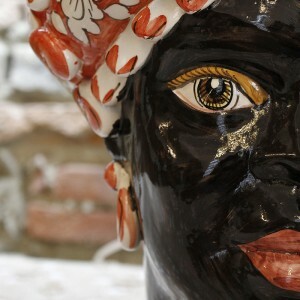 This great experience I had the chance to do, made me realize how Etna, our mother Etna, is a living creature. How powerful, and beautifully scary it looks and at the same time, how you can feel that its presence is just part of the land and of our natural sense of belonging to Sicily. I'm 26 and Sicilian since my first breath! I've lived in this wonderful country for most of my life with brief but unforgettable intervals in New York, Tanzania and Turin!✈️ I completed my Communication and Foreign Languages studies in 2014, but I'm still studying to become a Sommelier in the very next future! 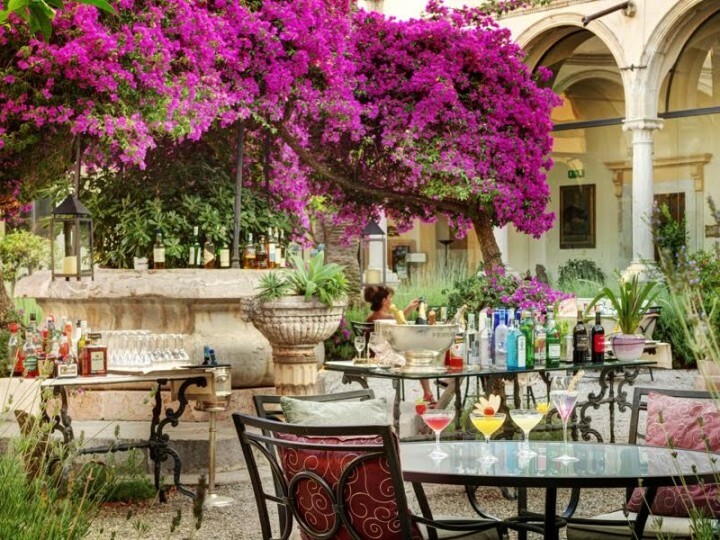 🍷 Travel Lover, Wine Lover, Sicily Lover!